ORDER by email: You may order by email. Simply list the items you want by emailing us at: admin@TheViperStore.com. Be sure to list the part number with each item you want. 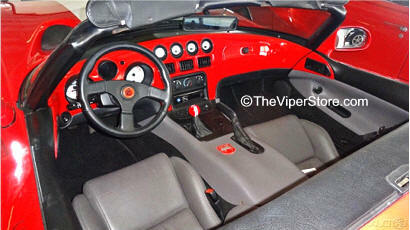 Factory replacement Dodge Viper window door regulator with motor complete. 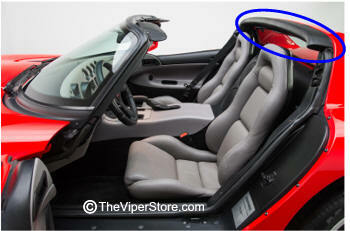 Fits 1992-2002 Vipers. Drivers Side unit. 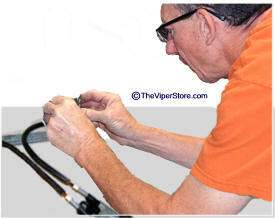 Factory replacement Dodge Viper window door regulator with motor complete. Remanufacturered to new condition. 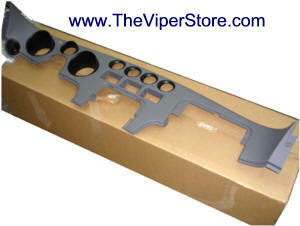 Fits 1992-2002 Vipers. Passengers Side unit. Guaranteed for the Life of your Viper! *added is a $400.00 Core Deposit. 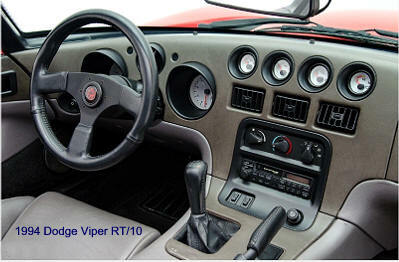 Send us your Dodge Viper window door regulator with motor complete. We will repair it and guarantee the motor and regulator for 3 years. Normal time for repair 2 business days. Add shipping time. **NOTE: Be sure send it by UPS insured for $500.00 or more. Pack it for a rough ride through the mail. Include a note with your name, address, phone, email, car model and year. 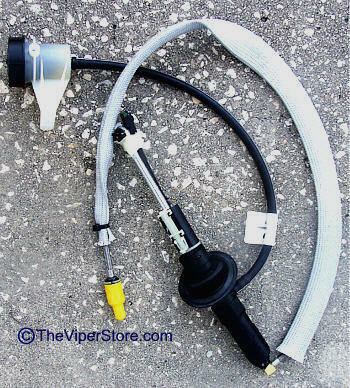 Guaranteed FIXED for the Life of your Viper! Dodge Viper interior door handle bezel. Brand new original factory part. Drivers side or Passengers side. 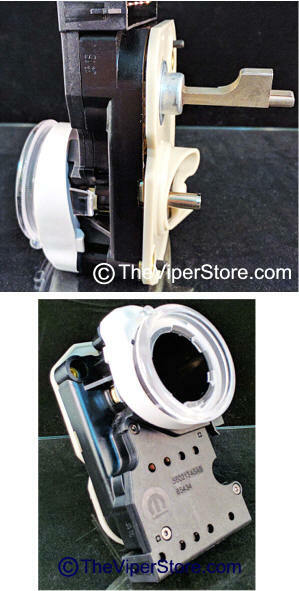 Dodge Viper interior door handle. Includes one cup. Fits either side. Fits Right and Left seats. Fits under each seat to inflate lower seat back. 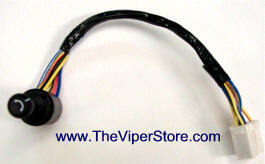 This is an aftermarket replacement for your stock inflation bulb and valve part Dodge part number 4874889. Fits just like factory into your hose under the seat. Hose is not included. 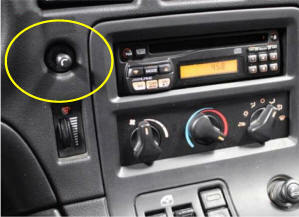 Mirror Switch with knob mounted in dash for Generation 2 Vipers. Factory original part. Does your clutch pedal drop to the floor completely not functional? Then you have to refasten it to the arm. 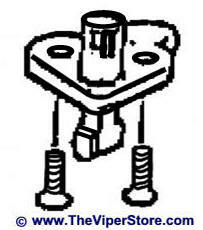 Includes clip and bushing. This 3- piece Kit will fix it. Locking Clip on front of the factory hard top. 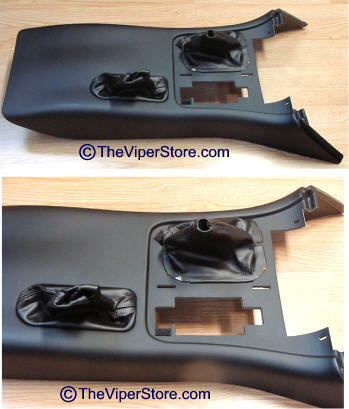 Attaches to the front windshield frame receptor and Locks down the factory hard top. New factory original part. We took a new dash panel from Dodge sanded it down and it is ready for paint. 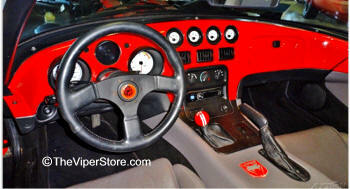 Or we can paint it see below: Dash gage face plate. In gray primer or painted black. Comes with or without glove box panel. 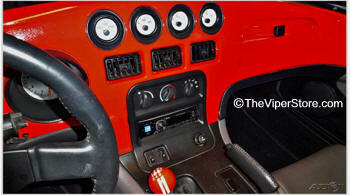 IH-PH10R-D5AB-COLOR Dodge Viper RT/10 (Gen 1) Front Dash Gage Panel - Custom Painted! New factory original part. Dash gage face plate. Beautifully sanded smooth and professionally painted and clear coated. Yes, we can match any Chrysler Paint code. Or just get in primer and paint it yourself. Comes with glove box panel. Painted door handle bezels are not included. Can be painted for an extra cost. **Want us to just sand and paint yours? Call us for pricing: 352 688 8160 M-F EST Beautiful Glossy in person. You will LOVE it! 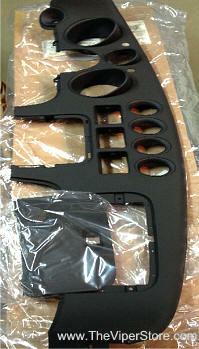 Factory original instrument panel bezel in black. 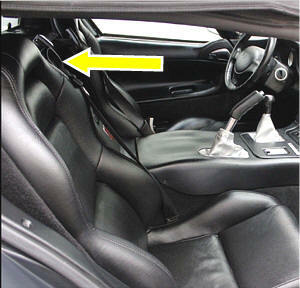 Factory original part attaches to the seat back and holds the seat belt in place. 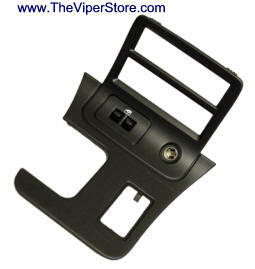 Factory original center console in black. 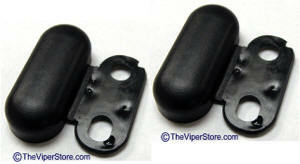 Sports cap pad assembly that holds up the soft and hard tops.